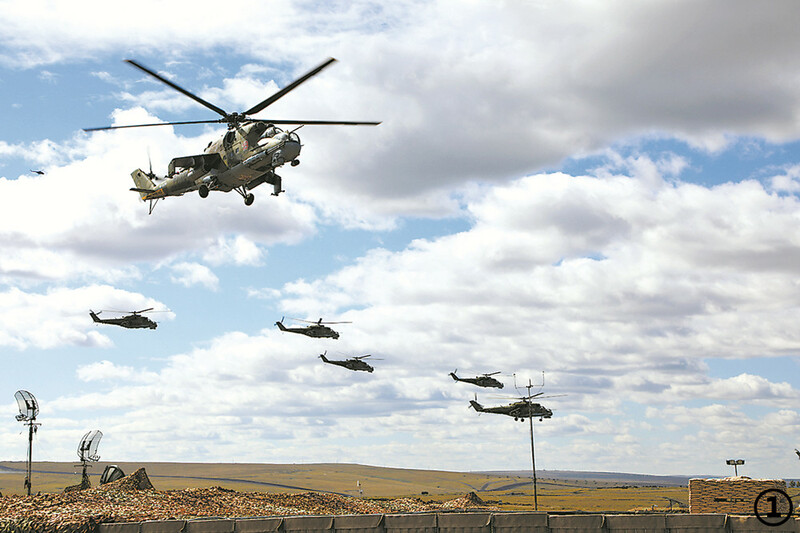 Russian helicopters enter the exercise area for mobile defense after the start of the actual-combat phase of the “Vostok-2018” strategic joint military exercise at the Tsugol training range in Russia's Trans-Baikal on September 13. 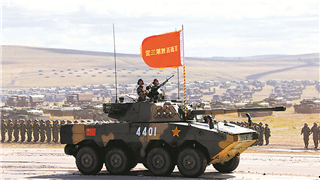 TSUGOL, Sept. 14 (ChinaMil) -- Major General Shao Yuanming, director of the Chinese side participating in the “Vostok-2018” strategic military exercise and Deputy Chief of the Joint Staff Department of China’s Central Military Commission (CMC), introduced the achievements made by the Chinese participating troops from the drill and provided prospects for deepening pragmatic and friendly cooperation between the Chinese and Russian militaries after the combined actual-combat phase of the “Vostok-2018” strategic joint military exercise and the military parade on the afternoon of September 13, 2018. 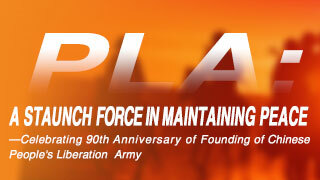 Maj. Gen. Shao said that the exercise was a huge success. At present, under the strategic guidance and promotion of the two heads of state, the China-Russia comprehensive strategic partnership of coordination has witnessed a more positive development momentum and entered a new era of high-level and great development. 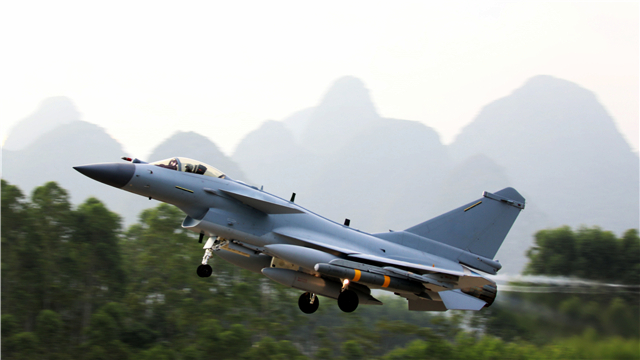 China and Russia have actively played the role and assumed the responsibility of major powers. China and Russia have established a new model of international relations featuring win-win cooperation, and made important contributions to safeguarding world peace, said Shao. 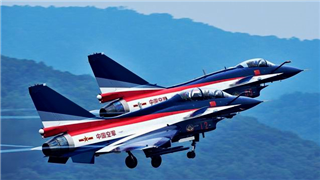 Shao said that the two militaries have held a number of joint military exercises within bilateral frameworks and the Shanghai Cooperation Organization (SCO) framework in recent years. 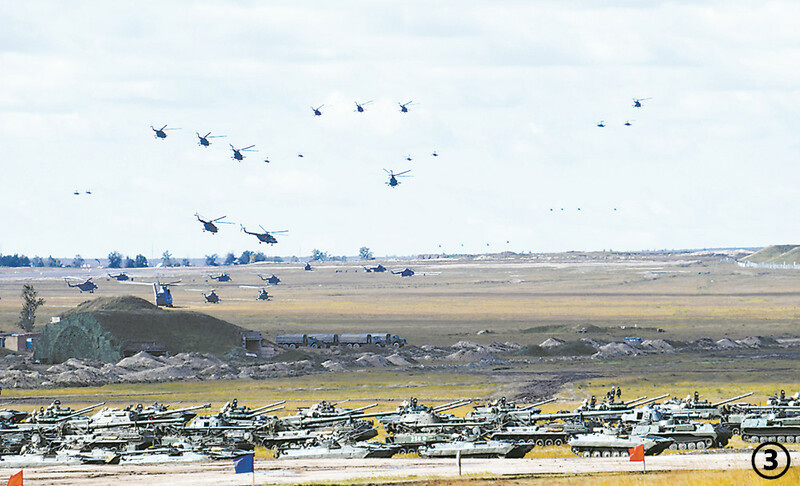 Such joint drills have been normalized and have become an important part of the annual exchanges and cooperation between the Chinese and Russian militaries. 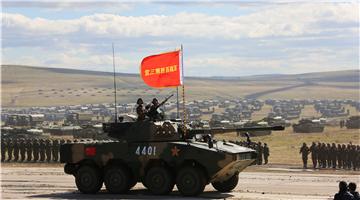 Chinese troops are reviewed in field during the military parade of the “Vostok-2018” strategic joint military exercise at the Tsugol training range in Russia's Trans-Baikal on September 13. .
Shao also mentioned that China’s participation in the “Vostok-2018” was the specific measure to implement the consensus reached by the Chinese President Xi Jinping and the Russian President Vladimir Putin and to promote pragmatic exchanges and cooperation between the two militaries, aiming to inject strong momentum to further deepen the comprehensive strategic partnership of coordination between China and Russia. 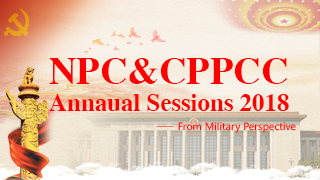 Shao said, the participating troops of the two armed forces have further deepened friendship, strengthened mutual trust, promoted cooperation and safeguarded peace through joint operations. 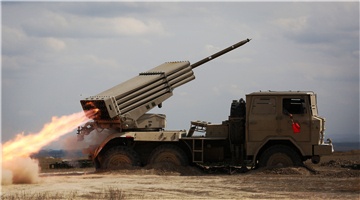 They have also further enhanced the capability to jointly operate and respond to various security threats. 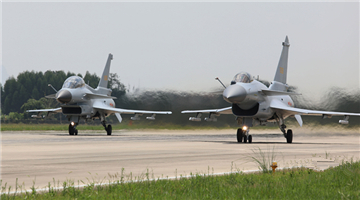 The exercise is also an important test of the Chinese troops’ combat readiness. 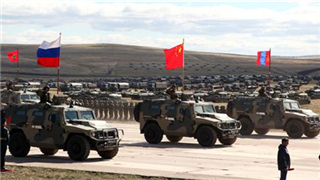 The Chinese participating troops completed the drills well and received praise from their Russian counterparts, Shao added. 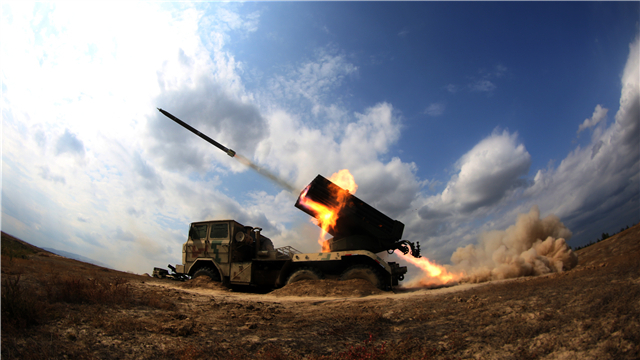 Russian military has rich combat experience and strong combat capability. 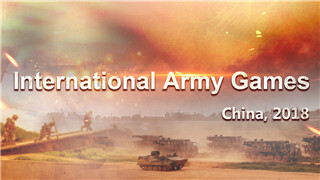 Russian commanders, staff officers and troops have demonstrated professional quality and excellent style during this joint drill, Shao said, adding that the useful experience of Russian military operations and training is worth learning, and the Chinese armed forces will further strengthen real combat training so as to improve strategic battle command and actual combat capabilities. “This exercise is a success and has achieved its desired goals. 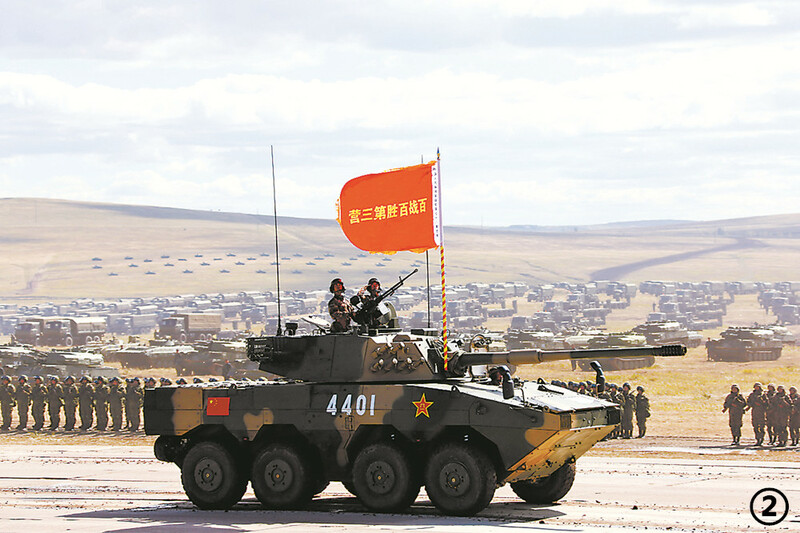 In the new historical period, the joint drill has positive significance for deepening the pragmatic cooperation in military security between the Chinese and Russian armed forces,” said Shao. He added that the two sides will consolidate and deepen the SCO “Peace Mission” Exercise and the Russian-Chinese naval exercise “Joint Sea” and explore the establishment of a new mechanism for pragmatic cooperation between the two militaries. 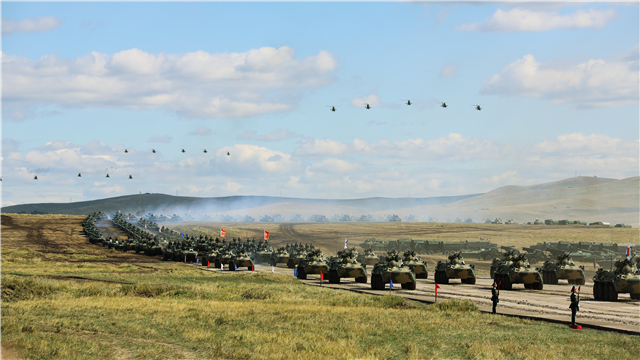 China, Russia and Mongolia conclude the "Vostok-2018" strategic drills with a military parade on September 13 at the Tsugol training range in Russia's Trans-Baikal region.